Propellerhead has released Reason 7 and Reason Essentials 2, major updates to its award-winning music software line. The latest versions inspire musicians to create more and better music with deep, streamlined mixing and a complete rack for all types of instruments. Check out how the music for one of the biggest movies to hit the theaters this year, The Hobbit, was created. The SoundWorks Collection sits down with the sound team at Park Road Post Studios in Wellington, New Zealand to discuss director Peter Jackson’s latest film. 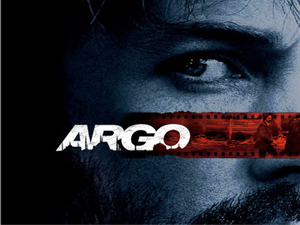 The SoundWorks Collection talks with Sound Supervisor and Sound Designer Erik Aadahl to discuss the sound of Director Ben Affleck’s Argo. An interesting announcement for fans for fans of Apogee’s products such as the Duet, Ensemble and Symphony I/O. 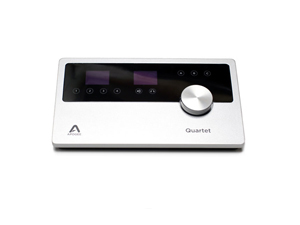 The Quartet, a new Mac only USB desktop audio interface/control center with assignable touchpad controls and 4 inputs and 8 outputs. 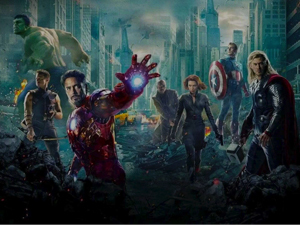 Supervising sound editor and sound designer Christopher Boyes talks with SoundWorks about his work on The Avengers film and how they came about finding the right mood and sound identity for each of the characters.